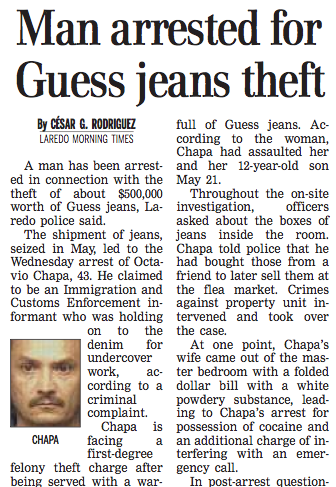 I have to give Mr. Octavio Chapa (pictured above) points for effort in trying to come up with an explanation when police found boxes of Guess jeans at his place of residence. But he's not much of an ad libber in saying that the merchandise was going to be used as part of some sting operation. 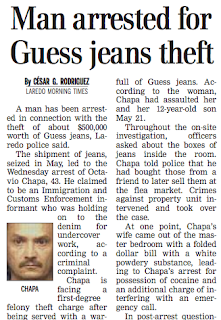 He told authorities that he was an informant for ICE agents. Me thinks he saw one too many episodes of Bordertown: Laredo.